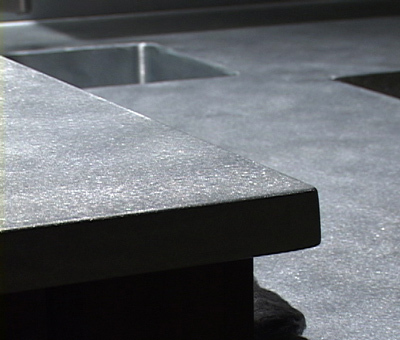 Zinc countertops are shiny like stainless steel or aluminum when polished, but the real sought after look is when it patinas. 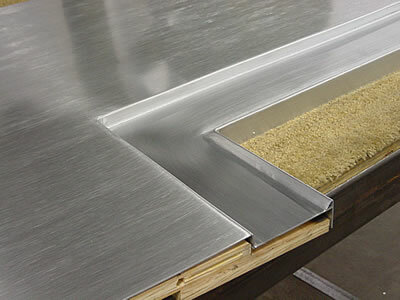 Our zinc countertop line is able to do either. 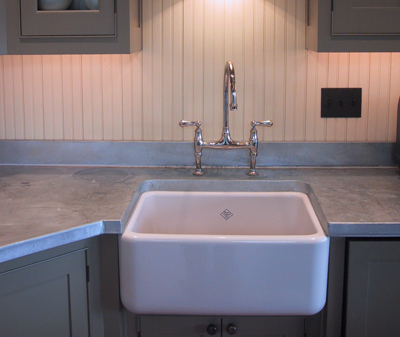 Whether you want the look of a old world kitchen or the clean look of the modern kitchen style, you can get it with CJ Design. 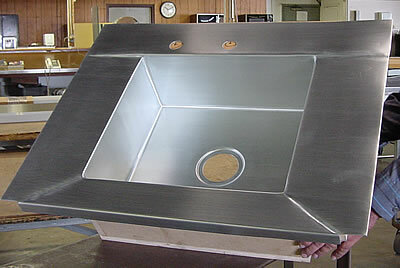 Zinc countertops are "alive" in a sense that they will change color over time to the patina look. 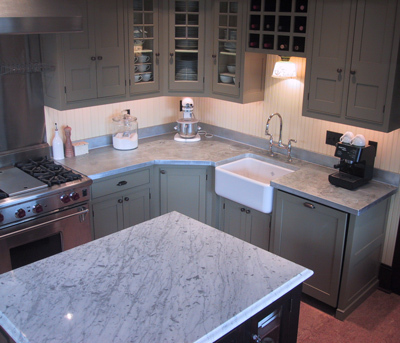 This is a wonderful bluish gray color that will accent any kitchen nicely. 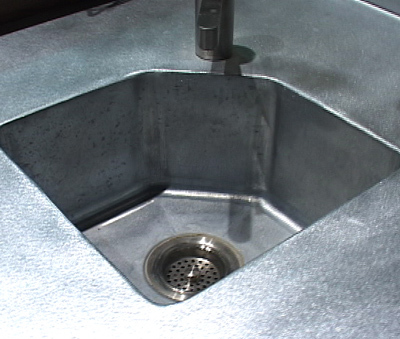 A zinc cou8ntertop is easy to clean and naturally anti-bacterial and lead free so there is never any question about food preparation. 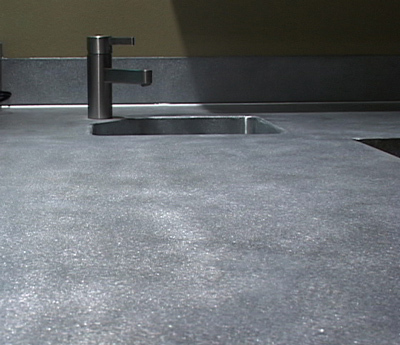 Zinc countertops react with everything from water to finger prints and even citrus juice. 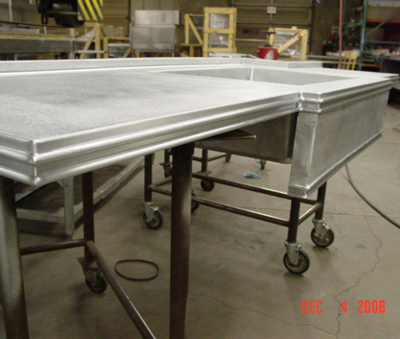 This is one of the main reasons some people opt for it and some don't. 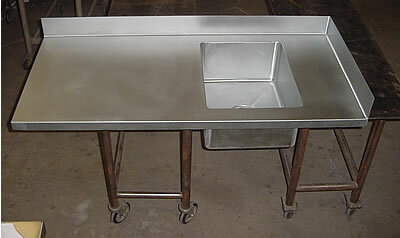 The true charm of zinc countertop installation is the patina you will get from it after regular use. 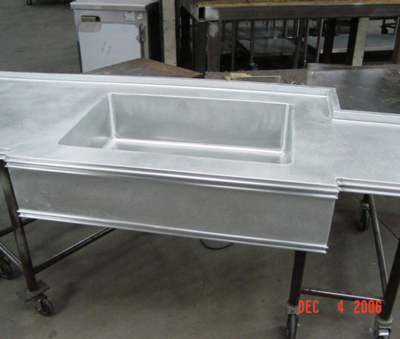 Don't expect an even color, always polished surface. 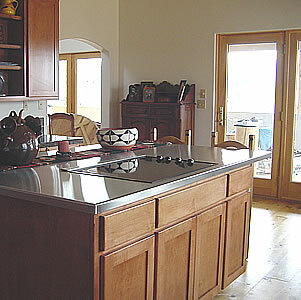 If this is what you are looking for, we recommend using a different material for your kitchen and home countertops.